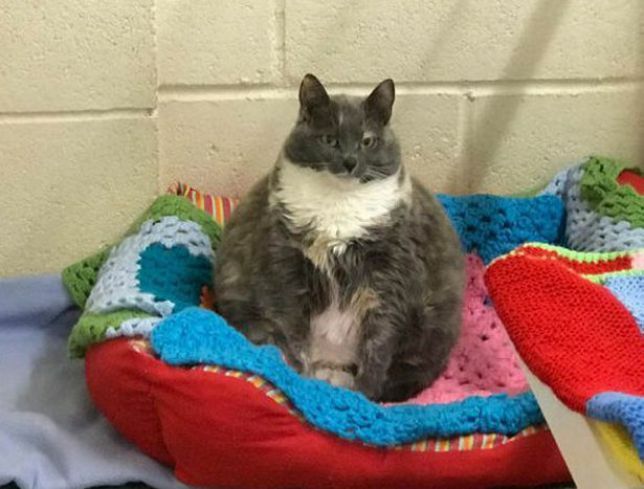 This cutie pie is called Mitzi, and when she arrived at the Woodside Animal Welfare Trust in Devon last year, she weighed 1st 3lbs, which made he one of the fattest cats in the UK. 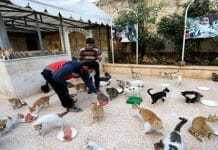 No one’s really sure how the cat got so fat considering the fact she was initially a stray. Mitzi found a home in 2017, but it was a short stay as her owner passed away a few months ago. 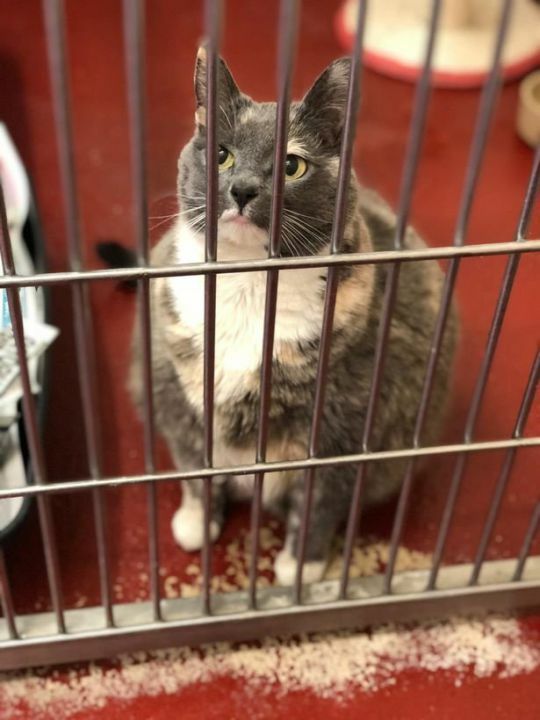 The staff at the Devon shelter think that nearby students fed Mitzi all the time, which is what eventually made her that big. 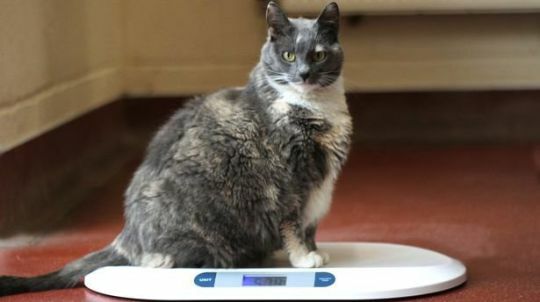 In the past few months, Mitzi was put on a strict diet and is already well on her way to wellbeing. At the moment, she’s weighing 12.7 lbs., which still means she’s overweight, but it’s obvious that the cat is making nice progress. Mitzi is quite happy at the moment and she’s been put up for adoption. 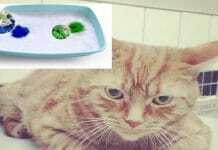 Her new owner should love cats, obviously, but he also needs to pay attention to Mitzi’s healthy lifestyle. The problem with the cat is that she won’t exercise if she isn’t pushed, so in order to reduce the weight, Mitzi’s new owner will have to work with her. 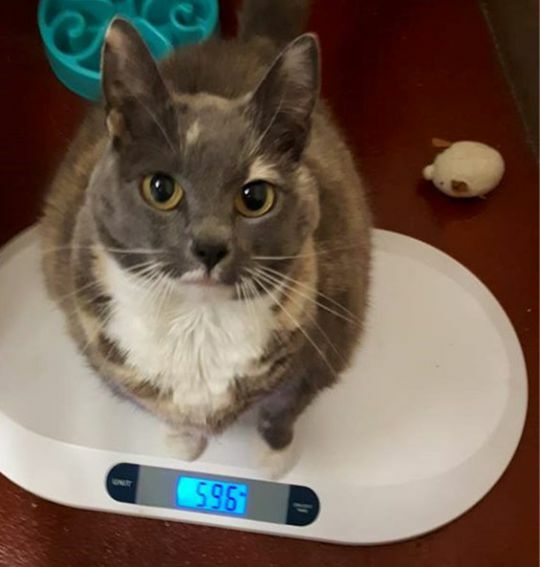 Mitzi’s weight is going down slowly, but surely, but as the staff says, it’s all up to her mood when it comes to exercise and eating low-calorie foods. Mitzi’s a stubborn one, but with a bit of nudging and some help, she should lose weight pretty soon. Other than that, Mitzi’s a perfectly lovable kitty. The shelter says that she’s great for families with kids over 10. 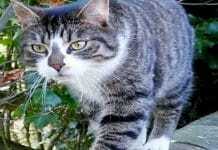 If you think you can handle Mitzi and give her the love she deserves, contact the shelter.